Bone infection and implant secondary removal remains a clinical challenge. We used ultrasonic micro-arc oxidation (UMAO) and conversion of phytic acid copper plating to prepare a pure magnesium polyhydric biofilm; we evaluated the surface microstructures, phase, element composition, and wettability of the film in vitro. The antibacterial activity of films with different Cu contents was confirmed by coating method, imaging examination, and microbiological cultures in vitro. The biocompatibility of biofilms was confirmed by cell proliferation, vitality, and morphology assays in vitro and histological evaluation in vivo. MC3T3-E1 cells were co-cultured with different films to assess cell viability on the films. The results showed that the mass fraction of Cu increased with increasing time of copper plating, and the surface of the Cu group was more dense and uniform. Additionally, copper coating significantly inhibited the growth of E. coli and Staphylococcus aurous. We also found that the adhesion, proliferation, and differentiation of the cells on the surface of copper plating were enhanced. 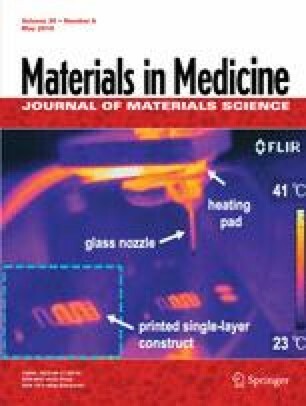 Copper implantation of animals in vivo showed fine ability to promote bone growth. Antibacterial activity and biocompatibility of pure magnesium UMAO-phytic acid-Cu3min implant film are excellent, so the film has potential application value in the treatment of bone implantation. This work was supported by the National Natural Science Foundation of China (No. 31370979); Heilongjiang Province University Innovation Team Building Plan (No. 2012TD010).